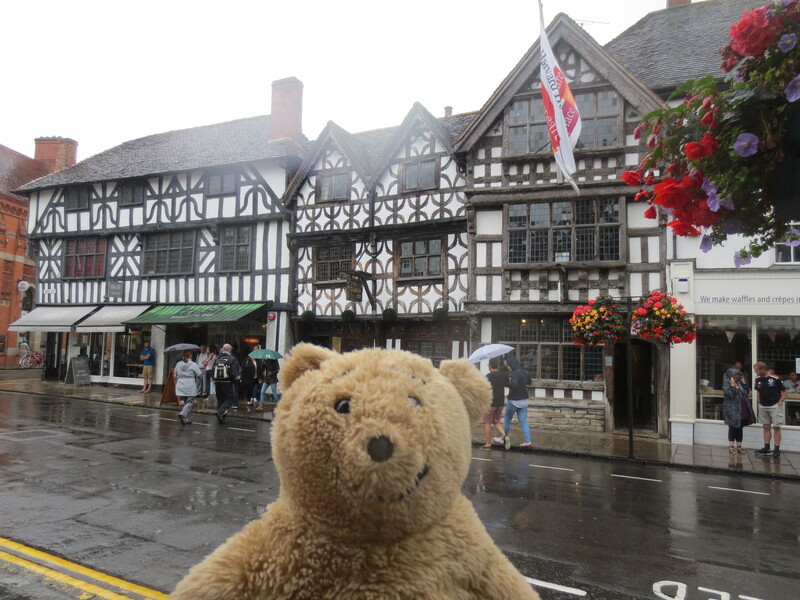 I recently visited Stratford-on-Avon and thought it a splendid place for bears and their humans as it is very interesting. 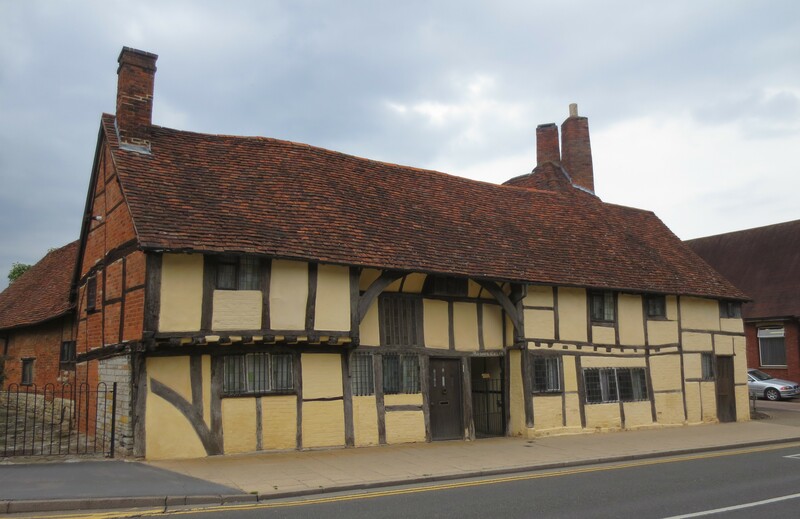 I was a bit worried about some of the buildings that seemed wibbly wobbly looking, but Karen said they wouldn’t fall down as they have been there looking a bit crooked for over 300 years. So, once I had determined that the buildings were OK I climbed up onto the windowsill of one for a photograph. I got patted on the head by a lady walking by; something that happens to me quite frequently. I don’t think people realise it squashes my head. 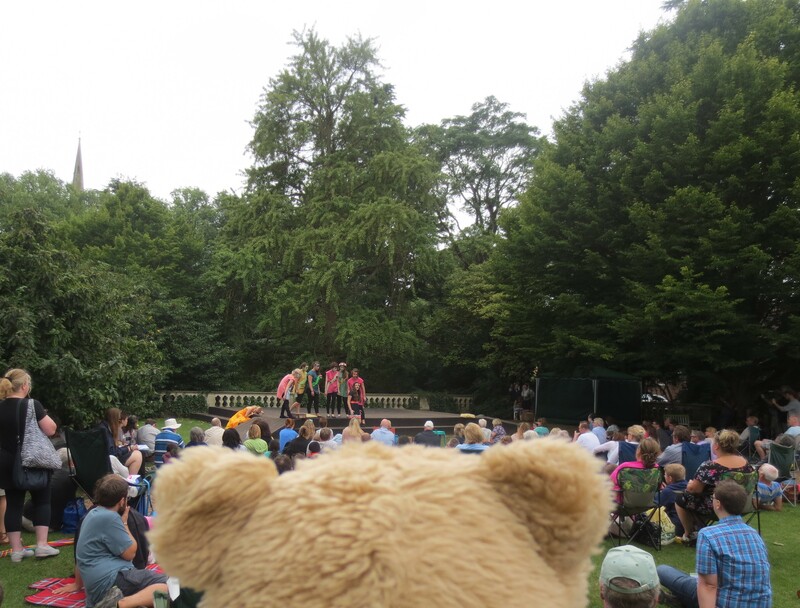 We walked to the park where we found people acting on a stage performing a play. It turned out to be one of Mr Shakespeare’s plays called ‘A Midsummer Night’s Dream’, and Karen seemed quite impressed that people didn’t have to pay to watch it. 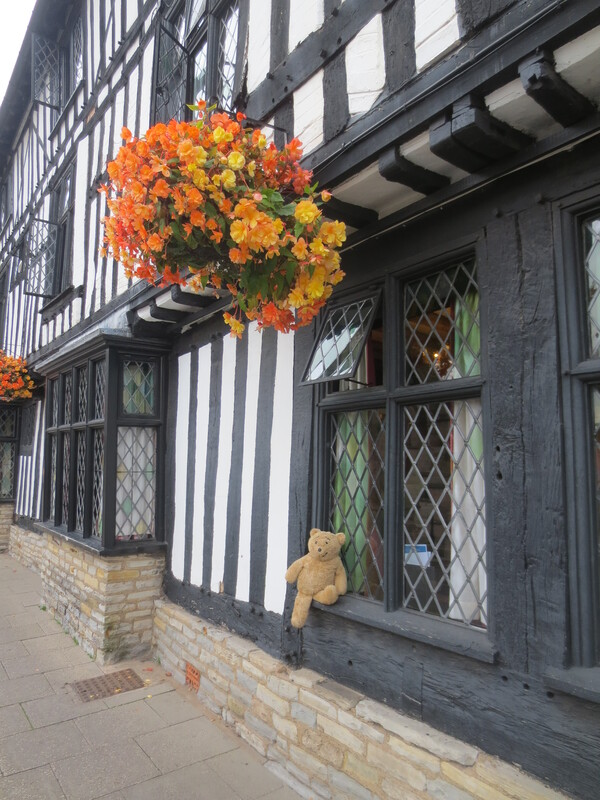 I watched for a little while, but the actors were talking in a way that bears don’t understand well (perhaps Stratford bears might be able to understand it, but I am from Alresford, a long way from Stratford). 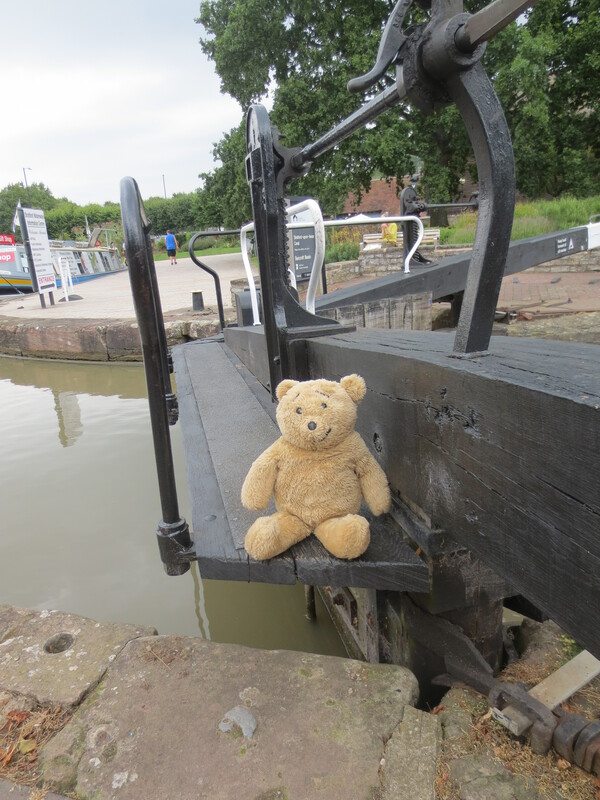 We walked along the edge of the canal for a while – here is my Stratford Selfie… I find lock gates quite fascinating so decided to take a closer look at one, though Karen kept reminding me of the consquences should I fall in. She seemed to think I would sink and never be seen again, so I was very cautious. 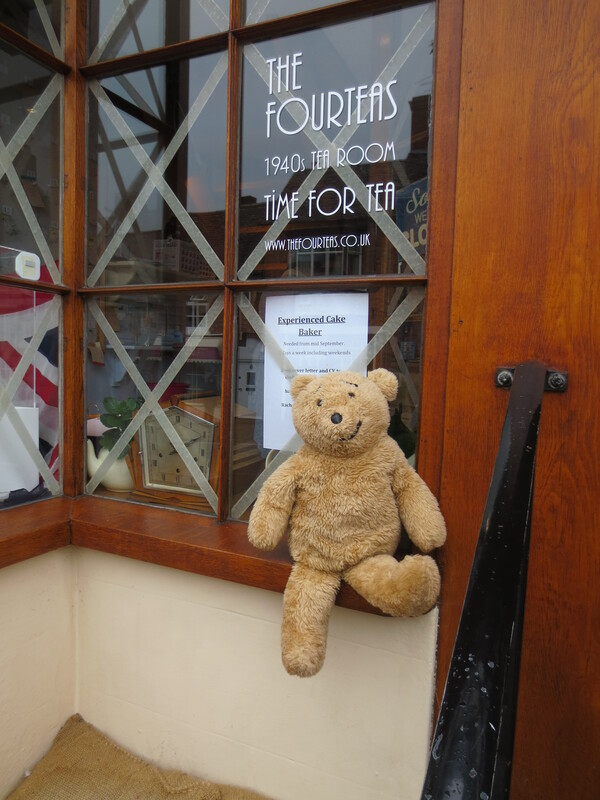 Outings usually involve food of some sort, so after exploring we ended up outside a 40’s themed tea room wondering whether to go in for lunch. We weren’t outside for long as my humans though it looked like a good place. Karen likes sitting outside, even if rain is imminent (which it was) so she asked to be seated in the garden. 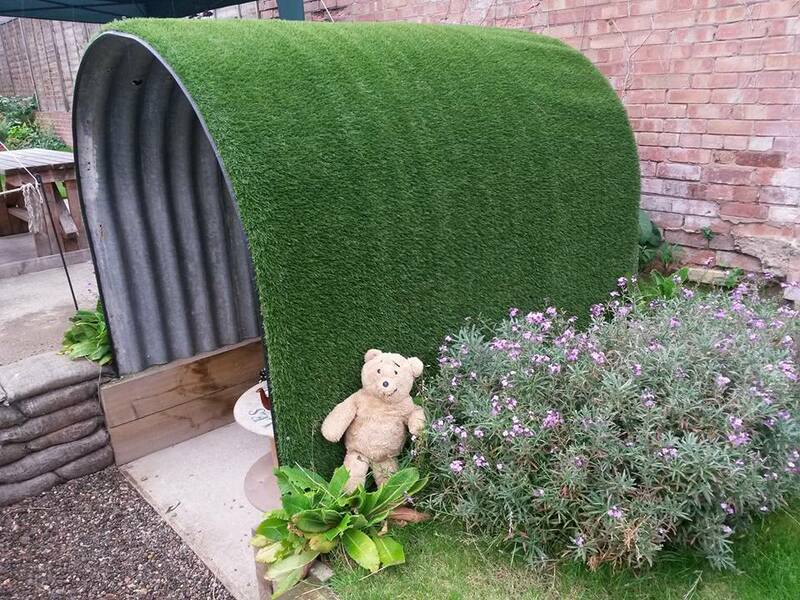 I was very surprised to find a little grass topped steel shelter out there with sandbags all around it. Apparently it was an old air raid shelter; during the 2nd World War, long before I was made in the 1940’s people used to sit in them when bombs were being dropped which must have been very scary. 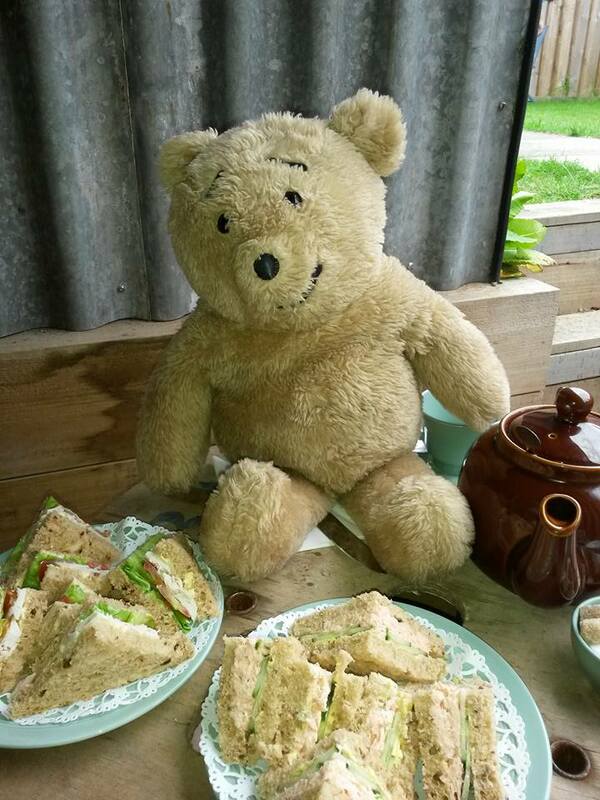 Raindrops started to fall so the ideal place to sit was in the air raid shelter, where a waitress wearing old fashioned clothes brought us sandwiches to eat. 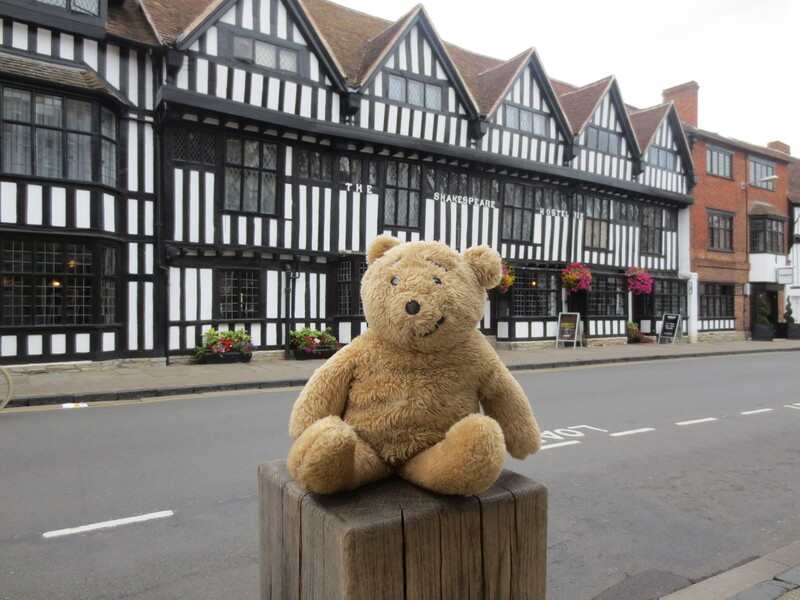 After lunch it was time to go as we were on our way to Royal Leamington Spa. It was a shame to leave the air raid shelter as I rather liked being there. 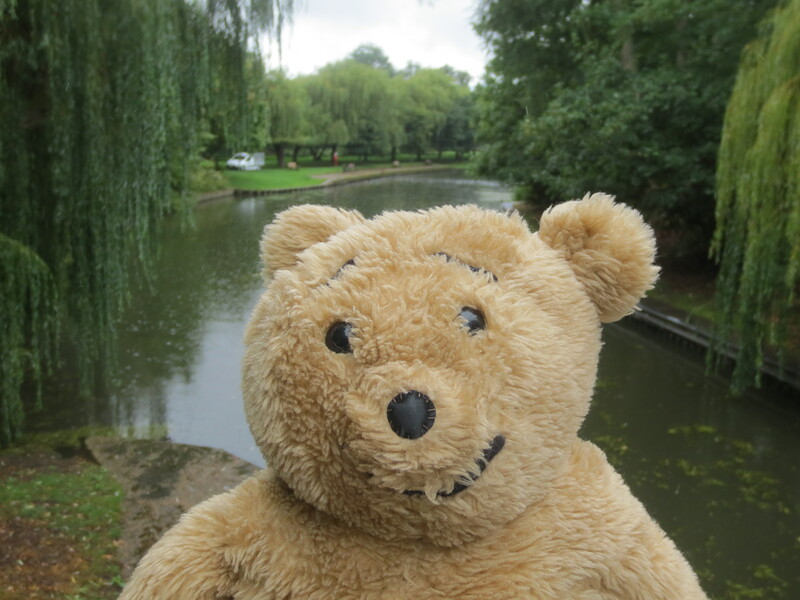 I’d like to go back to Stratford-on-Avon again on a sunny day.